Operating within a foreign trade zone in Dubai, biz-group has built a solid reputation as a provider of corporate training, team building, and strategic services for organizations throughout the United Arab Emirates. Driven by its motto, “Passionate about performance,” the company strives to engender cooperation among its diverse workforce through creative culture-building and communications activities. In an effort to analyze the effectiveness of its internal and external processes, the company participated in a research study that measured its policies and practices against a framework of high-performance organization (HPO) characteristics. The results confirmed the company’s underlying strengths and identified opportunities for improvement. In a similar vein, other organizations can use the HPO Framework to assess their own operations and home in on the characteristics they need to develop in order to improve performance. A FRAMEWORK FOR EFFECTIVE EVALUATION: I think the HPO Framework is spot on. In itself there wasn’t anything in the HPO Diagnosis which stood out as a surprise; however, the feedback is still valuable to us. A lot of it is reassuring, but the results also reemphasize what we already know – it is aligned to other assessments which we have done – which is good. So it’s come across as we had expected, I mean the things that we felt confident that we would score high on, and the things we knew that we had to improve on. And actually, we’ve already worked on improving these since our first meeting, by talking about the results and undertaking several focused improvement actions. So the HPO Diagnosis absolutely has been very, very valuable for us. 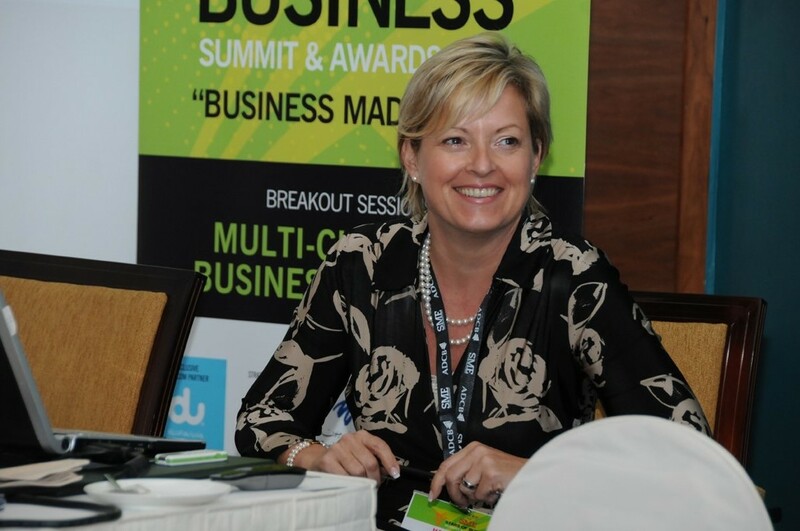 When Hazel Jackson, founder of biz-group, arrived in Dubai from the United Kingdom in 1993 to work for an advertising agency, she fell in love with the entrepreneurial spirit of the United Arab Emirates. She identified a gap in the market, which at the time was very price sensitive, and the need for adding value through service.With a starting capital of 500 UK pounds, she bought a typewriter, typed her first training course, and thus started a training company. Now, 21 years later, biz-group employs 45 professionals from around the world to service the Middle East’s corporate training, team building, and business strategy needs. It divides its client services among three units: biz-ability, biz-events, and bizstrategy (see sidebar on page 30 in the PDF docment at the end of this page). Biz-ability handles large-group training—typically for 300 to 500 people per program—for multinationals, the banking sector, government agencies, and large family businesses. Biz-events serves similar clients, typically the distributors for blue-chip firms that hold conferences in the UAE. Biz-strategy mainly serves small and medium-size enterprises. Unlike other firms in its industry, biz-group does not use outside contractors and associates. In order to maintain the corporate culture they have created, the company’s top managers strongly believe that those who represent the company’s interests need to be part of the biz-group family. By relying on its own employees to service its clients, biz-group protected itself from being overtaken by external forces in the early years of its formation and has been able to effectively manage confidentiality and exclusivity agreements. Striving to become a high-performance organization (HPO) and valuing the opportunity to submit to an assessment of its operations and receive feedback on them, biz-group agreed to take part in an HPO Framework diagnosis. Researchers from the HPO Center in the Netherlands were eager to conduct an HPO Diagnosis at biz-group because it operated in a free trade zone, which had been established to attract foreign investment, promote export, develop disadvantageous regions, and create new jobs. Although the HPO Framework had been tested quite extensively in Asian (Waal, Duong, & Ton, 2009; Waal & Frijns, 2011; Waal & Haas, 2013; Waal & Tan Akaraborworn, 2013), African (Waal & Chachage, 2011; Waal, Goedegebuure, & Mulimbika, 2014), American (Waal, 2012a), and European contexts (Waal, 2012a), only once had it been applied previously to a Middle Eastern entity, in Palestine (Waal & Sultan, 2012). Performing the HPO Framework diagnosis in the United Arab Emirates—quite a different environment than Palestine—offered the possibility to evaluate the framework in yet another setting. biz-events for team performance, which uses innovative team building to help an organization’s groups be more effective. Over the years biz-group has earned various awards. In 2013, it was among the Dubai SME 100, rated ninth overall and first in the Human Capital category by the Dubai Economic Department. In the same year, the Great Place to Work Institute named biz-group the number-one Great Place to Work in the United Arab Emirates in the SME category. The HPO Framework was developed from a descriptive review of 290 academic and practitioner publications on high performance and the results of a questionnaire that was completed by 3,200 respondents worldwide (Waal, 2006 rev. 2010, 2012a, 2012b). This research also yielded the following definition of an HPO: A high-performance organization is an organization that achieves financial and nonfinancial results that are exceedingly better than those of its peer group over a period of time of at least five to ten years (Waal, 2012a). Belief and trust in others and fair treatment are encouraged in an HPO. Managers are trustworthy; live with integrity; show commitment, enthusiasm, and respect; and have a decisive, action-focused decision-making style. Management holds people accountable for their results by maintaining clear accountability for performance. Values and strategy are communicated throughout the organization, so everyone knows and embraces them. An HPO has an open culture, which means that management values the opinions of employees and involves them in important organizational processes. Making mistakes is allowed and is regarded as an opportunity to learn. Employees spend a lot of time on dialogue, knowledge exchange, and learning in order to develop new ideas aimed at increasing their performance and making the organization performance-driven. Managers are personally involved in experimenting, thereby fostering an environment of change throughout the organization. An HPO grows through partnerships with suppliers and customers, so long-term commitment is extended to all stakeholders. Vacancies are filled by highpotential internal candidates first, and all employees are encouraged to become leaders. An HPO creates a safe and secure workplace (in both physical and psychological terms), and dismisses employees only as a last resort. An HPO compensates for dying strategies by renewing them and making them unique. The organization continuously improves, simplifies, and aligns its processes and innovates its products and services, creating new sources of competitive advantage to respond to market developments. Furthermore, the HPO manages its core competences efficiently and sources out noncore competences. An HPO assembles and recruits a diverse and complementary management team and workforce with maximum work flexibility. The workforce is trained to be resilient and flexible. They are encouraged to develop their skills to accomplish extraordinary results and are held responsible for their performance. As a result, creativity increases, leading to better results. The HPO research shows that there is a direct and positive relationship between the five HPO factors and competitive performance: The higher the scores on the HPO factors, the better the results of the organization; the lower the HPO scores, the lower the competitive performance. An organization can evaluate its HPO status by having its management and employees fill in the HPO Questionnaire, consisting of questions based on the 35 HPO characteristics with possible answers on an absolute scale of 1 (very poor at this characteristic) to 10 (excellent on this characteristic), and then calculating the average scores on the HPO factors. These average scores indicate where the organization has to improve in order to become an HPO. 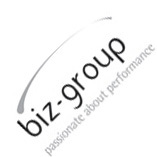 The HPO diagnosis at biz-group took place in 2013 and consisted of two steps. In step 1, 15 of the 45 biz-group staff members filled out the online HPO questionnaire. (All employees did not participate because biz-group had recently conducted several other surveys and management did not want to over-burden them.) Individual HPO scores were calculated, summarized, and presented in a graph indicating biz-group’s performance relative to an HPO. To be considered high performing, an organization would have to have an average score of at least 8.5 on each HPO factor. The graph also showed which characteristics would have to be improved to boost organizational performance. Subsequently, a two-hour interview was held with Hazel Jackson, CEO of biz-group, and Bev Mileham, the general manager. This interview was transcribed by a third person not involved in the research. The authors analyzed the data from the questionnaires and the interviews to identify areas where biz-group performed very well and areas where the company could improve. Then, based on this analysis and the interview transcription, they made a first draft of the case study and sent it to biz-group for review. In step 2, a follow-up two-hour interview was conducted with Mileham. The transcription of this interview was used to update the draft case study. A second draft was shared with biz-group, and ultimately finalized with a second set of comments from biz-group. Exhibit 2 compares biz-group’s HPO scores with the average scores of nine other organizations in Dubai (five of which also operate in the Free Trade Zone) currently in the HPO Center’s database. With an average HPO score of 8.6, biz-group is an HPO that outperforms other Dubai organizations (average scores of 7.6). The shape of the graph lines for biz-group and the other Dubai enterprises are similar, except for the HPO factor of openness and action orientation. The similarity could stem from the fact that biz-group, like many other organizations based in Dubai, has a diverse workforce, including British, Australian, Canadian, Jamaican, South African, Gulf States, Indian, Filipino, and Pakistani employees. Biz-group addresses this challenge by placing great emphasis on openness and communication in its business culture. Every morning at nine, all employees participate in a huddle during which they share good experiences from the previous day, news about the current day’s tasks or goals, and any concerns. Everyone takes a turn speaking, and the atmosphere is lively and enthusiastic.On Sunday, the first workday of the week, the huddle is more extensive because the company’s sales figures and focus for the coming week are discussed. When recruiting new hires, biz-group seeks to ensure that the new employee will fit into the organizational culture and can be a “bizperson”— that is, someone who is open and able to communicate. Read this article (published in Wiley Periodicals), including exhibits and results, in this PDF paper!